When the State of California required Los Angeles to reduce its landfill waste, the city had the perfect solution. Compost! A large percentage of what went into the dumps came from lawns, gardens and parks. By collecting green waste, composting it and marketing it back to the public, the City not only reduced its waste by half, it made money to boot. 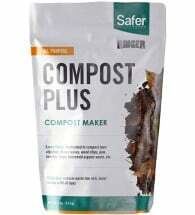 The commercial compost was sold by the yard to large growers and landscape services as well as in attractive bags at select home, garden and grocery stores. The program more than paid for itself. Win-win! Then the reports started coming in. Growers of tomatoes, peas and other vegetables noticed they were losing crops. Sunflowers and daisies died. 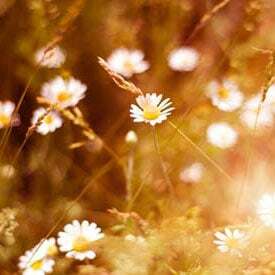 The culprit was found to be Clopyralid (PDF), a widely-used dandelion herbicide, found to be present in the City-manufactured compost. Suddenly compost programs in Los Angeles, Spokane and other parts of the country came to a halt as the “contaminated compost” scandal spread. Clopyralid isn’t the only contaminant that buyers of commercial compost have had to worry about. There’s a wide array of herbicides, pesticides, heavy metals and other chemicals as well as bacterial pathogens that can make their way into commercial compost. Compounding the problem are persistent toxins from sprays used on forests (forest products make up a large share of commercial compost). The addition of sewage sediments and sludge — once freely labeled as such, now more stealthily named — as well as other waste water by-products harboring everything from heavy metals to prescription drugs show up in compost. As the often-heard saying goes, garbage in, garbage out. Contamination is only part of the problem with commercial composts. Their acid-alkaline balance may be seriously out of whack, depending on what went into them. Some composts that use excessive amounts of farm animal wastes may not have been finished — allowed to age — a sufficient amount of time and are too hot (contain too much nitrogen) for young plants. Then there’s the possibility that the compost is spent. It adds little benefit to a garden in the way of texture, micro-nutrients or organic matter containing beneficial micro-organisms. In that case, you’ve just spent hard-earned money for no good. Wise organic gardeners — most of you — already know the solution to this problem. But before we state the obvious, let’s look at the history of problems associated with commercial compost and the efforts to remedy them. There’s good reason to be careful no matter who you buy it from. Composting is an ancient art, as old as seed gathering and cave painting. Clay tablets from Mesopotamia dating back 1,000 years before Moses discuss the composting process. Composting was popular with the Greeks and Romans and was common farming practice in Europe and America before the chemical revolution of the 19th century. Beginning in 1905, the English agronomist Sir Albert Howard spent 30 years developing composting techniques in India, ideas which were then embraced by home gardeners in America thanks to the efforts of Organic Gardening editor J.J. Rodale and others. The first compost transaction — its transfer from party to party for trade or profit — is lost to history. The commercial sale of compost probably dates back to when some enterprising farmer began trading the fermented remains of his silage pile to a neighboring gardener for grain or produce. Colonial farmers of New England made a practice of throwing the surplus fish catch into piles of barnyard muck and it’s easy to think that some of the potent results were traded among growers who weren’t such able fisherman. 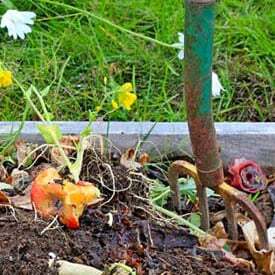 Private, usually local commercial composting began on a small scale during the back-to-the-land movement of the 1970s (commercial humus, potting soils and such products as fish fertilizer have been around for decades). This practice grew as corporate farm operations, livestock growers, the timber industry and other businesses realized there was profit to be made from the waste of their activities. As in Los Angeles, municipal compost operations started as an answer to rapidly filling landfill sites. Since leaves and yard wastes comprise such a large percentage of landfill volume, as much as 30 per cent depending on the season, many cities began to see the value of composting their green waste and recycling (Los Angeles reached 50 percent by including food, paper products and other soluble wastes). The city of Davis, California has had such a program since 1972. Wellesley, Massachusetts began composting its leaves in the early 1970s after its community incinerator was closed for failing to meet air emission standards. At first, leaves were just piled and stored, but then the city began turning the huge piles and making finished compost and using it locally. Sales boomed. In the late ’80s, the town began collecting debris from landscapers and other commercial operations in an effort to triple their compost production. Other states began to see the win-win value of composting and passed laws to keep yard wastes out of landfills. Incentives were granted for backyard composting programs, subsidies were given to homeowners who purchased compost bins and cities were awarded funds for trucks that would vacuum up leaves. Even early on in these programs, there were concerns about the quality of the compost produced as well as the harmful ingredients it might contain. 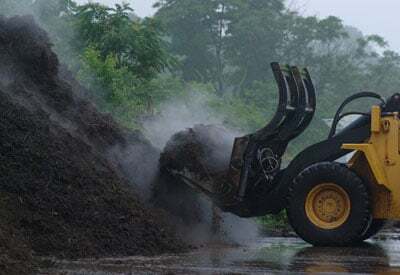 In the 1980s, scientists from Cornell University began monitoring compost produced at a pilot yard waste project in Westchester County, New York. Of the hundreds of lawn and garden chemicals they tested for, four were found in significant quantities: captan, lindane, 2,4-D. and Chlordane. The fact that Chlordane was found years after its use was banned by the U.S. in 1983 is particularly troubling. Chlordane persists in the environment for decades (the major reason it was banned). Even less persistent pesticides such as Clopyralid tend to accumulate in garden soils that see regular applications of compost made of materials sprayed with the toxins. Take the example of the City of Seattle’s backyard composting program. It seemed to be a tremendous success. Begun in 1980, the idea was to teach the fine art of composting to as many homeowners as possible. Thousands, many of them first-time composters, joined the program and some 25 percent of the well-watered city’s organic waste was composted. Curb-side pickup was initiated. But those using the city’s compost began to report problems with the use of their product. There were reported die offs of nightshade family plants: tomatoes, egg plants, potatoes, peppers and other broadleaf plants. 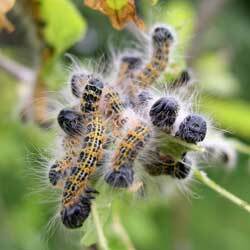 When the problems were traced to the commonly used lawn herbicide Clopyralid, the program took a setback. Seattle’s problems, along with those of other municipal composting programs, forced Dow Agro, the producer of Clopyralid, to voluntarily deregister the product for lawn use in 1999. Its use for lawns was banned in the State of Washington shortly thereafter but can still be used for commercial crops. Other toxins make their way into commercial compost in a variety of ways. Leaves picked up from city curbs and streets often contain oil and other automotive wastes. Pet and other animal droppings can find their way into municipal compost and, unless allowed to gain high temperatures or composted long enough, can carry pathogens into the product. 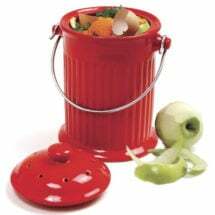 The same can be said for food wastes which are commonly added to municipal compost programs. Compost made from green recycling programs is frequently contaminated with non-green materials, everything from asbestos to petroleum by-products from wax-treated cardboard. Not all toxins in compost come from yard and garden chemicals. Forestry by-products, a major component of commercial compost sold to home gardeners, can contain a variety of herbicides, pesticides, fungicides, fertilizers and chemical growth regulators. These chemicals are frequently used in the most intense forestry practices, namely the pulp growing industry, and in quantities much larger than used in other types of farming. It’s not surprising that the major source of recycled forestry products used in compost come from the most intensive forestry practices. While many of the chemicals sprayed in commercial forests tend to break-down over time during the composting process, many, as with Clopyralid, persist longer than advertised. Gardeners, especially organic gardeners, should check packaged compost labels carefully for the addition of forest by-products. Not so many years ago, it was common to see the word “sludge” or “bio solids” on the labels of commercial fertilizer. While reclaimed sewage is still commonly used in large composting operations, especially in commercial farming, the terms have changed on labels or disappeared altogether. In 2003, the Environmental Protection Agency began allowing composts using sewage sludge to be called “recovered organic materials” – PDF. Not everything that goes down the sewer has organic origins. As early as 1990, the Environmental Protection Agency (EPA) described the components of sewage sludge like this: “… constituents may include volatiles, organic solids, nutrients, disease-causing pathogenic organisms (bacteria, viruses, etc. ), heavy metals and inorganic ions, and toxic organic chemicals from industrial wastes, household chemicals and pesticides.” Farm applications of sludge are suspected in everything from the increase in child asthma to dairy cow die-offs. Expect rich, moist humus in 60-90 days! 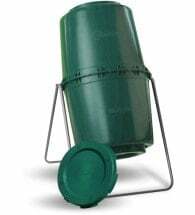 Ringer® Compost Maker contains a proprietary blend of microorganisms which break down yard waste as well as a nutrient energy source for a fast start. 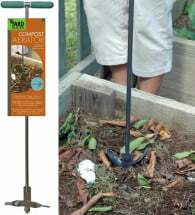 Excellent for use with lawn clippings, brown leaves, wood chips, pine needles, twigs, etc. A study published in 1993, tested 12 different composts from the United Kingdom that were both partially and completely made from municipal sewage waste (MSW). It found that the MSW-only composts exceeded limits in four of the seven heavy metals it was tested for. 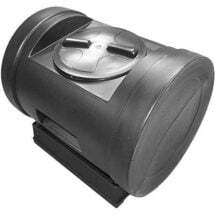 All the composts contained physical contaminants including glass, metal and plastic. While no salmonella bacteria were found in the MSW test samples, concentrations of E. coil bacteria exceeded accepted limits in five of the samples. The practice of spreading sewage sludge on farm land dates back to the 1960s and its use really took off in the ’90s as municipalities sought acceptable methods for disposing of sewage treatment by-products. Its use in commercial compost dates to about that time. While the National Foods Processors’ Association says it does not endorse the use of sludge on crop land and some producers claim their products are grown without sludge, its continued use is one of the best reasons to buy organic products or grow your own. But buying a few bags of compost at your local big-box home center may not guarantee you’re protecting your soil — and family — from the dangers of recovered sludge. The problem with commercial compost is not knowing what it contains. General guidelines for buying compost only go so far. Studying labels will reveal only so much and can lead one to believe the product you’re buying is safer than it is. 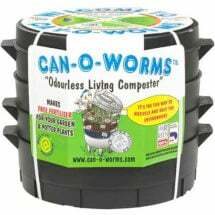 And the rigorous testing required to make sure your purchased compost doesn’t contain too much ammonia or soluble salt and that it has the right carbon/nitrogen balance is beyond most casual gardeners. But you can easily check your compost to see if it is finished, in other words, stable and ready to use. 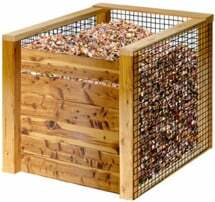 Make sure that it has no readily identifiable components such as leaves, grasses or wood chips. Put a handful in a plastic bag, seal the bag and leave it for 24 hours. If it smells bad when you reopen it, the compost probably isn’t finished. The same pH test kit that works for testing your garden soil will also reveal the pH of your compost. Some state agricultural departments will test compost for waste products. Such testing from the North Carolina Department of Agriculture and Consumer Services is inexpensive — $4.00 — and will list the amount of soluble salts, the nitrogen-carbon balance and the presence of heavy metals. 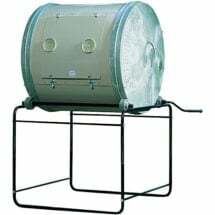 Those buying large amounts of compost for landscaping, new yards or gardens should consider checking with their local college or state agricultural extension office about having their compost tested. All the riches of the earth! 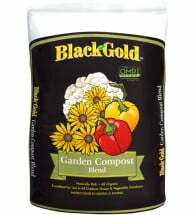 Black Gold® Compost provides organic matter and natural nutrients for flowers and vegetables — improves soil texture and structure. Includes Canadian sphagnum peat moss and forest humus to increase vegetable yields and flower blooms. Does NOT contain sewage sludge or biosolids. The best way to be sure your compost isn’t adding chemicals, toxins or pathogens to your soil is to make your own. Follow accepted techniques for making compost and keep out pet wastes, leaves collected from streets and other contaminated sources. Make sure any kitchen scrapes that come from store-bought produce have been well-washed. Follow good organic practice around your yard and garden to prevent lawn chemicals from entering your green waste. Urge your neighbors to do the same. When it’s not practical to compost, buy organic compost which has been tested or approved for organic use. This is not always easy as most major home and garden stores carry products that claim they are made of “organic materials” but, as in the case of sludge, these materials are probably not from certified organic sources. The U.S. Composting Council offers a “Seal Of Testing Assurance” designed to provide compost testing, labeling and information disclosure to consumers. A list of suppliers participating in the program can be found here. Information on their testing practices is here. The Seal does not necessarily mean the product meets United States Department of Agriculture organic standards, but will tell you what the finished product contains. Compost certified to meet USDA organic standards can be purchased from a number of sources scattered around the country. Generally, to reach USDA certification a compost producer must show that the compost is made from only allowed feedstock materials, that the compost reaches a minimum of 131 degrees Fahrenheit and remains there for three days, and that the compost is turned or somehow manipulated so that all of it reaches the required temperature. As Amigo Cantisano, an organic agricultural advisor in San Juan Capistrano, California says, “USDA requirements are focused on minimizing contamination and pathogen problems. They do not address quality issues. A number of private, often non-profit review agencies help farmers obtain the USDA’s organic certification. Not all of them deal with compost. Those that do, like the Organic Materials Review Institute, issue lists of certified product producers. Executive director DeCou says, “Our process is to know what the feedstock are that go into the product, what efforts are made to cleanup extemporaneous materials that might come in from outside sources. We require certain tests on the compost that are done by third party laboratories. We require testing for pathogens, pesticides, and recently heavy metals. If a complaint or concern rises, we go out and collect our own samples.” Because compost, like any cherished recipe, can be considered a trade secret, OMRI keeps all information on ingredients confidential. Take your yard clippings for a spin! 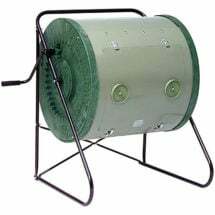 The Tumbleweed Compost Tumbler is a simple way to quickly turn yard and food waste into a homegrown soil amendment, quickly and cleanly. 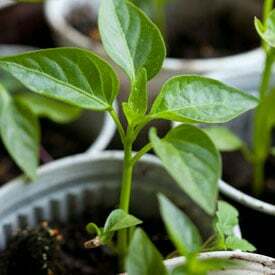 Drop the materials in, turn them a few times per week, and in months — not years — you’ll have gallons of nutrient-dense organic matter to offer your plants. 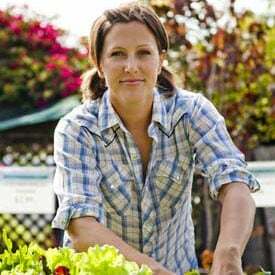 Indeed, the State of California, one of two states to do their own organic certifying, has recently started discussions with the USDA and some organic review services to pull organic certification from a handful of composts made in the state. The problem? Bifenthrin, a pesticide present in a number of commercial lawn products that is known to be extremely toxic to fish. It follows that if compost previously certified to be organic tests positive for the pesticide, then commercial compost made from municipal lawn and garden green waste that is not certified organic would also contain bifenthrin. Is there a better argument for taking control of the materials that go into your garden soil and making your own compost? I would like to promoting my leaf compost from Indonesia (east Java Province). We have been producing the leaf compost (zero manure animal). Source of leaf compost from teak wood, eucalyptus, water hyacinth and etc. Until now, we have been export to JAPAN because we have buyer from JAPAN but we are not direct to them. Just information, every 2 weeks, they come to factory in east java for looked the quality of product before export to them. We have certificate from Indonesia (sucofindo) about content of NPK and others. Now, we want open the new market in the world. We can supply 500 MT/month. About this, can you are helping me “Whom are the best buyer? In USA or Other as your connection. Thank you for your guidence. Very interesting article! I appreciate the factual information you provide about commercial compost. I personally have noticed a drastic change in the look and quality of “compost” and “potting soil” that I buy compared to 30 years ago. It used to be that the compost was a rich dark color soil, slightly moist and no recognizable fragments. Now what they sell is a light colored, dry material full of wood particles. It looks more like slightly processed mulch than soil. The material does not retain water and my potted plants have a very limited life cycle. This article points out some of the reasons why…. I have been running a small-mid scale specialized commercial compost operation in Buffalo NY for several years. I have encountered many of these concerns and have been able to successfully circumvent them with management protocols and better planning. Great article. Beware of the USCC Seal of Testing Assurance program. Check it on Wikipedia. They do NOT subscribe to microbiology. It is a FOR Profit Org, which is not a bad thing, but…… buyer beware. I have always focused on the Biology of the batches I produce and go to great lengths to insure those populations – either bacterial or fungal – are ideal based upon the desired application. Bactieral or Fungal promote different levels of pH in the applied ecosystem. Different plants thrive on different soil life: bacterial or fungal that is. What would Nature Do? That is what inspired my operation through the years. We create a Forest Floor emulated humus like end product because that is what Nature would do. Do this and everything else falls in line. It is all about alternating thermophyllic and mesophyllic stages that are strictly monitored – every day, except Sundays! Seriously. You HAVE to monitor the piles and many days just dont fire up the loader. Walk, look, touch, smell, take pH’s, temps, touch, feel…… That is critical to the overall process. Turning and mixing is not the only component of a successful and quality operation. I ran into this problem 3 years ago when I bought 4 yards of compost from our local green waste composter. Now after the 3rd year from spreading the compost a few things are starting to grow. Maybe this summer will see some recovery from having added 2-3 inches of the stuff to my beds. I had no idea what was wrong until reading this article. Whoa. That really helped. Thanks for the informative article mate. A really informative article. 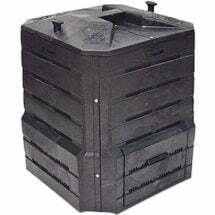 There are a lots of parameters affecting the quality of generated commercial compost. For new investors, there are both chances and challenges. However, with the development of organic farming and people’s awareness of benefits of using organic compost as fertilizer, commercial composting will absolutely develop fast in the near future, and moves toward to a new stage.